This article is all about fashion tips for winter season. Winter is beautiful season and layering is the best option to protect against it. The fashion runway saw bold red colour in autumn/winter collection. Red colour is a must have in your winter wardrobe. 1. 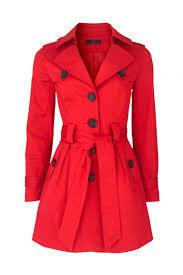 Red coat - a red coat will definitely give a pop of colour to your wardrobe. Also sweaters, jackets, blazer will make you look stylish. Avoid wearing sweatshirts as it gives a student/casual look. 2. Scarfs - if one is going to be wearing an all black ensemble then colourful scarfs will add colour to your outfit. 3. Boots - i love this season as wearing beautiful leather boots will not only keep the feet warm but will also give stylish look. 4.Gloves - hands need warmth so good quality gloves does provide warmth. 5. Monkey cap - A pop of red on the head or white woolen cap will protect you from the cold winds. 6. Ear muffs- one can always equip ear muffs to protect the ears and avoid getting cold in the season. 7. Shawls- bring out the pashmina shawls in beautiful colours this will not only give you warmth but also up your game in stylish quotient among your friend circle.